I do love a good cocktail. But there are times when mixing 3, blow your head off, spirits is just too much! 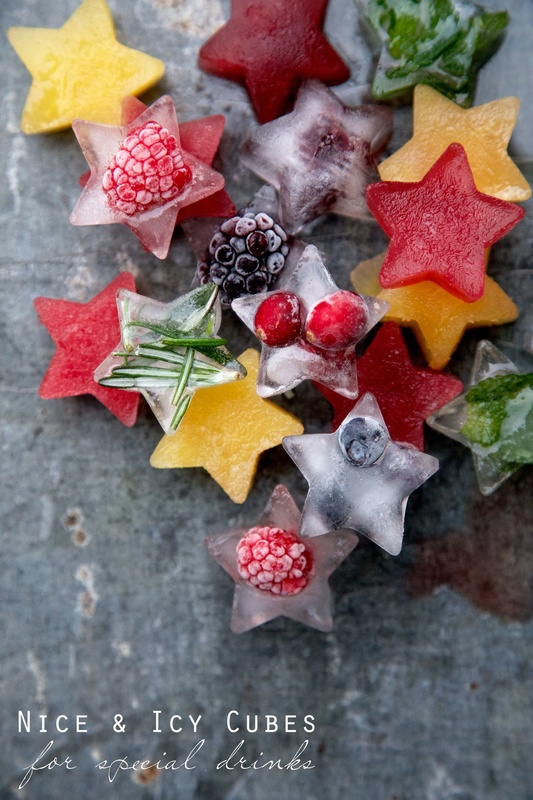 Why not try making some festive cubes with seasonal ingredients to add a little something special to a jug of water at the Christmas table or add them to your favourite drinks. 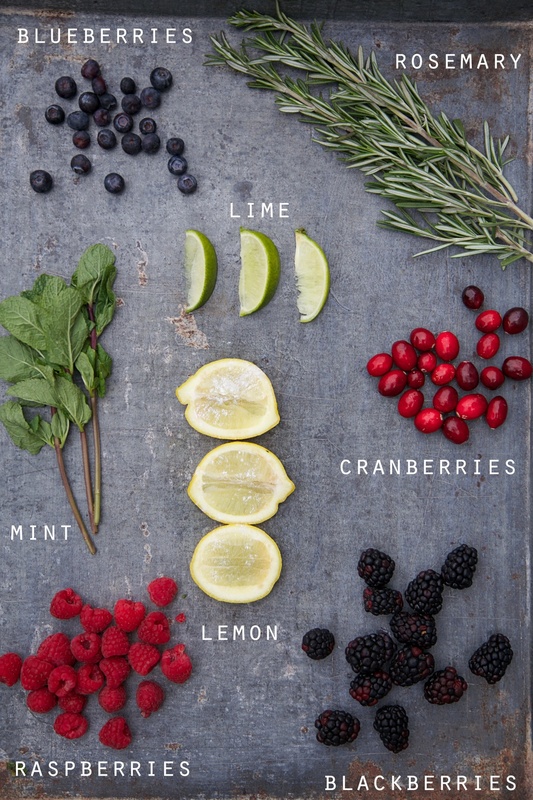 The mint ones would be perfect for mojitos, try adding the rosemary to a vodka tonic and the fruit juice versions would add a little something to a glass of bubbly, alcoholic or not. 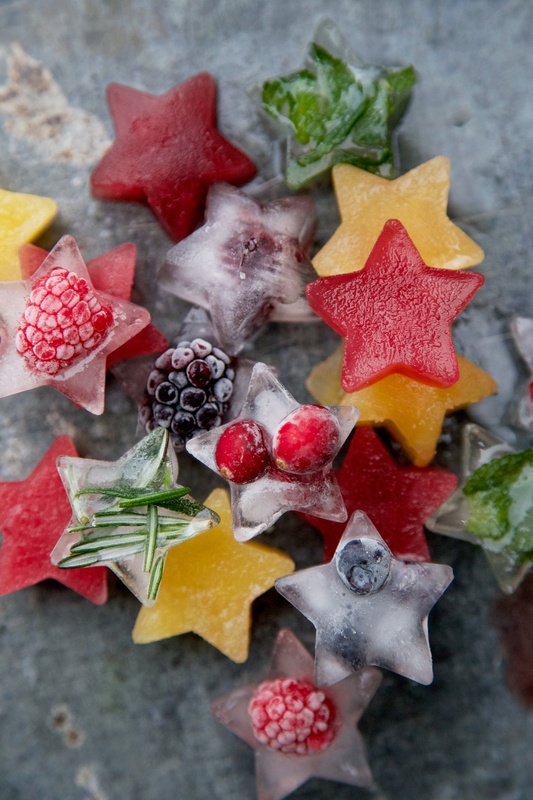 I used a range of fruits as well as froze some sugared slices of lime and lemon. I think the blood orange cubes would make a great addition to a Bucks Fizz and the pomegranate ones would go down a storm with a cranberry juice and lemonade. I've tried coffee cubes before which are wonderful in an Irish Cream liqueur and frozen edible petals make a clear drink simply beautiful. What else would you make ice cubes from? !